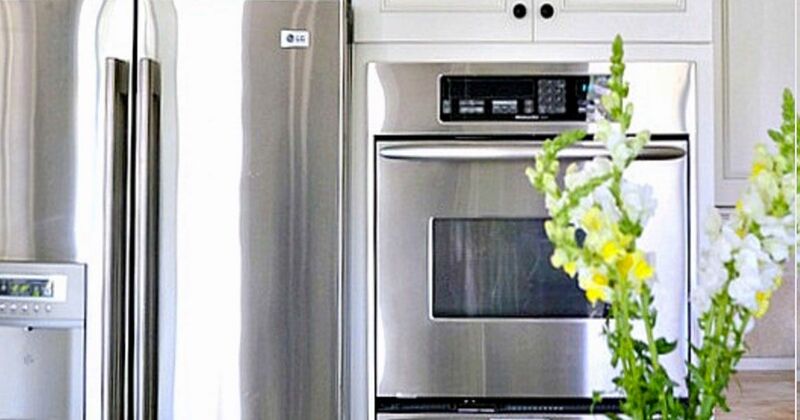 Many owners of stainless steel appliances don't realize -- until after they've spent a lot of money -- that keeping them clean and shiny can be quite a challenge. Kristin Salazar knew the challenge well. As a busy mom of three boys, she was constantly battling "water marks and smudges that seem impossible to get off." 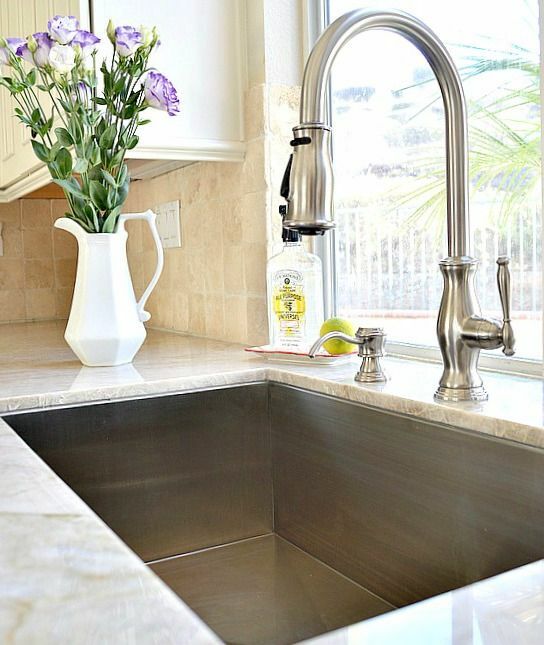 Salazar had been using vinegar to clean her appliances for years, in keeping with the mission of her blog, My Uncommon Slice of Suburbia: "to create stylish and beautiful spaces fit for busy families on a small budget." But it wasn't until January 2016 that she blogged about the process, and included a bonus tip -- polishing! 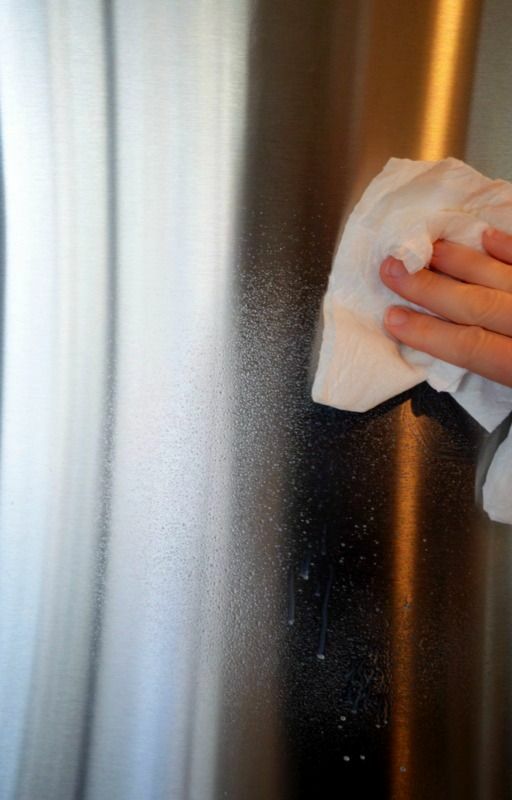 All you need to clean and polish your stainless steel appliances are vinegar, oil (Salazar tried olive oil and baby oil, and both worked), and a microfiber cloth. 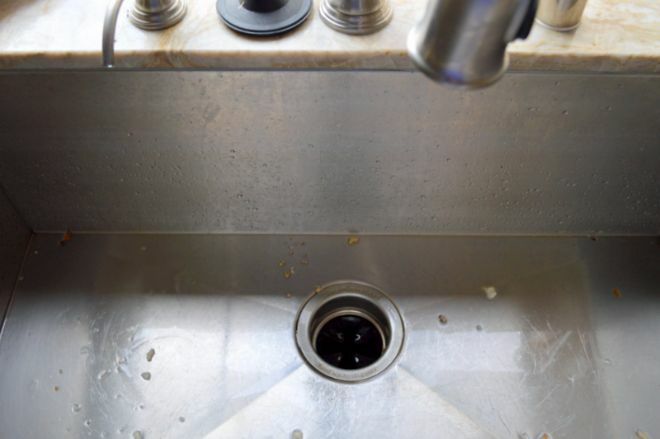 A word of caution before you begin: vinegar is acidic, and may produce unwanted results on anything other than stainless steel. Check your owner's manual before proceeding; you may want to dilute the vinegar. Using a spray bottle, spray the vinegar (diluted or full-strength) onto the appliance, and use the cloth to clean away smudges. Wipe with the grain of the steel, to ensure a complete job. Dab a few drops of oil onto a different part of the cloth and rub it in, again going with the grain. Finally, buff the area to a shine with a clean, dry area of the cloth. Nicely done! See Salazar's full tutorial at My Uncommon Slice of Suburbia, along with more photos of her beautiful results. Once your appliances are all shined up, take your baby oil out to your car. Clean the hard clear plastic covering your dashboard gauges, then fill in the scratches with baby oil. 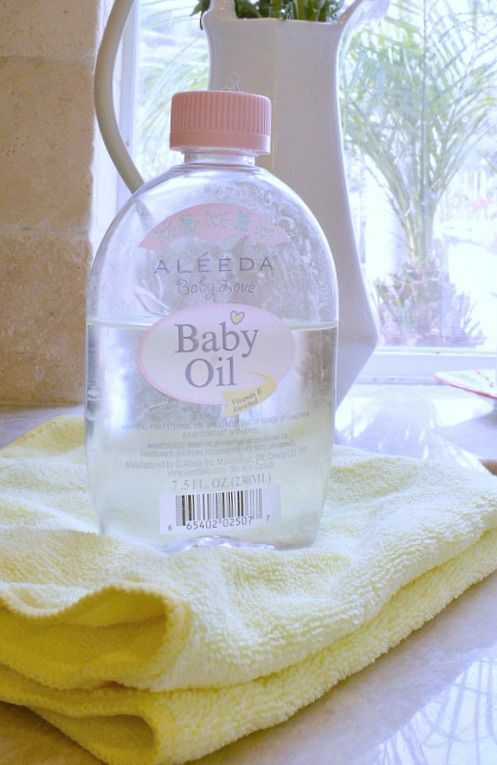 When you put the remaining baby oil away, put it into the medicine cabinet to be used later as makeup remover, earwax remover, or for homemade baby wipes! Please share this article with your friends -- they'll thank you after they've polished their appliances!